The 2017 Ohio Sheep and Wool Program Board primarily functions for the purpose of promotion, education, research, marketing and producer services funding for the Ohio sheep industry. The 2017 OSWP Board chair is Gary Wilson, of Hancock County and vice-chair is Don Hawk, of Knox County. In 2009, the OSWP Board initiated a process called Request for Proposals, or RFPs. This RFP process has helped the OSWP Board focus its funding requests on promotion, education, and research and marketing programs on a written request basis. For the 2016-17 fiscal year, funding support requests for the OSWP Board totaled $33,500.00, but due to limited check-off program dollars and quality program requests, only $27,250.00 of those requests were funded by the OSWP Board. 2016 Buckeye Shepherd’s Symposium – Dec.
Fifty years ago, it started with a dream to support the Ohio State Fair’s youth livestock exhibitors. Today, 422 champions have been honored and more than $6.4 million in sales have been generated by the Ohio State Fair Sale of Champions. “We’re just trying to get them money to go to college and help them buy some farms,” said Gov. Jim Rhodes to Ed Johnson in a 1982 interview. Rhodes was the mastermind behind the event that would help build the legacy of Ohio livestock exhibition on a national and international stage — the Ohio State Fair Sale of Champions. Rhodes recognized the hard work, long hours and vast leadership potential of the top livestock exhibitors at the Ohio State Fair and he wanted everyone else to do the same. He also wanted to establish a way to help those young exhibitors benefit from their incredible achievements financially. With these goals in mind, Rhodes teamed up with the Ohio Expositions Commission and well-known auctioneer Merlin Woodruff, who had been selling livestock at the Ohio State Fair since 1952. 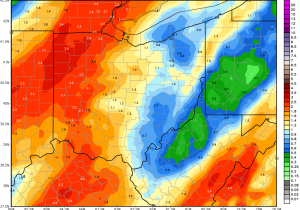 Of all of the components of agriculture that is overseen by the Ohio Department of Agriculture (ODA), the topic of water quality and nutrient management has been a key focus for many years. ODA’s Director David Daniels, along with Michigan Department of Agriculture and Rural Development Director Jamie Clover Adams and Indiana State Department of Agriculture Director Ted McKinney held a roundtable Monday, prior to the Midwest Association of the State Departments of Agriculture’s Annual Meeting being held in Cleveland this week. All three state ag department leaders talked about what their state is doing to address the issue of water quality and nutrient management and also shared how their 3 states are working together to find solutions that work in creating a healthier Lake Erie Watershed. Director Daniels reeled off the many initiatives being delivered in Ohio to address the situation, including the Fertilizer Applicator Certification Training Program, Ag Stewardship Verification, the Ohio Applicator Forecast Tool and millions of dollars of investments to help agriculture and other industries become a big part of finding a solution to the water quality problem. The 2017 Ohio Sheep Day is scheduled for Saturday, July 15 at OARDC Sheep Research Unit, location of a major portion of sheep research being conducted at The Ohio State University. The OARDC Sheep Research Unit is located in beautiful Wayne County at 5743 Fredericksburg Rd., Wooster, OH 44691. Ohio Sheep Day will offer visitors the opportunity to visit a successful sheep farming operation dedicated to sheep production in a profitable way. Sheep farmers and anyone interested in sheep management and production is invited to attend. A lamb luncheon is included as part of registration and no pre-registration is required. The OARDC Sheep Research Unit hosts a commercial sheep operation concentrating its efforts on sheep research involving many aspects of sheep production and management. The farm is located in northeastern Ohio where the terrain is gently rolling, making it an ideal location for grain crops as well as ruminant livestock production. Sheep owners and others interested in sheep and forage management are invited to participate in a sheep grazing/forage management tour scheduled for Friday July 14 in Wayne/Holmes County. Topics to be discussed at the farms will include information for the beginning sheep farmer, sheep and management, cool season pasture species, hay production, fencing, rotational grazing management, breeding management and marketing. Each stop will have something different to offer in how the operation works for the farm and family. The sharing of ideas is how we all learn. Resource people for the day will be Bob Hendershot of Green Pasture Services and Gary Wilson Past President American Forage and Grassland Council, retired OSU Extension. They will provide information about pasture grasses, grazing management, sheep production and are willing to answer all your questions. Pre-registration is required and is limited to the first 40 people. Thanks to financial sponsorship from the Ohio Forage and Grassland Council and the Ohio Sheep and Wool Program the cost is only $40 per person ($30 for current Ohio Forage and Grassland Council members), which includes bus cost, lunch and refreshments. 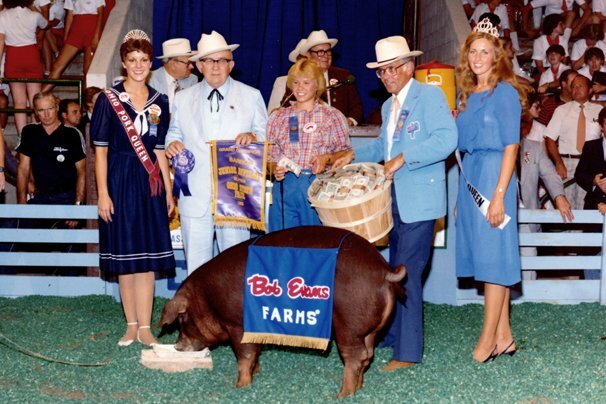 The Ohio State Fair is looking for past Sale of Champions exhibitors to attend this year’s 50th Anniversary of the Sale of Champions as honored guests of General Manager Virgil Strickler. Two tickets to the fair will be provided. If you know of anyone on the list below, let them know the Ohio State Fair would love their company at the 2017 Ohio State Fair Sale of Champions Livestock Auction — 50th Anniversary on Sunday, Aug. 6 at 2 p.m.
As part of the U.S.-China 100-Day Action plan announced on May 11, 2017 by U.S. Secretary of Commerce Wilbur Ross and Secretary of the Treasury Steven T. Mnuchin, the Trump Administration has taken important steps toward commercial shipment of U.S. beef and beef products to China for the first time since 2003. “Today is a great day for the United States and in particular for our cattle producers, who will be regaining access to an enormous market with an ever-expanding middle class,” Perdue said. 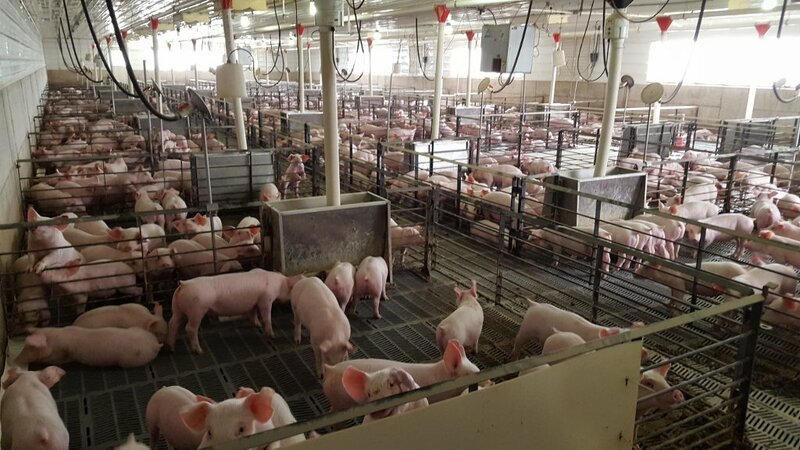 The National Pork Board this week announced the creation of a Secure Pork Supply plan to help the U.S. pork industry respond to major threats, including a foreign animal disease (FAD). 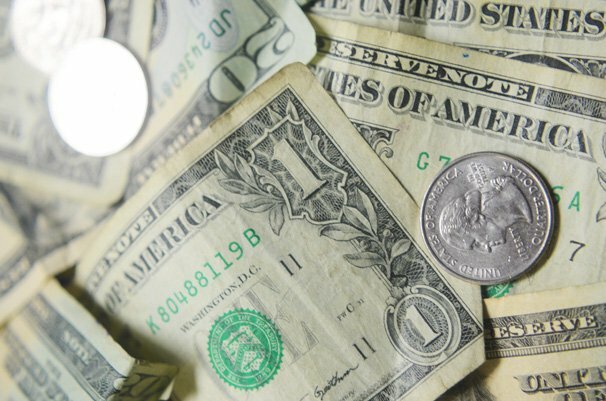 It provides procedures that producers, processors and federal and state agencies can implement should an FAD strike, according to the veterinarian and director of swine health programs for the Pork Checkoff, Patrick Webb. The result of ongoing collaboration among NPPC, the U.S. Department of Agriculture, the National Pork Board, the American Association of Swine Veterinarians and academia, the plan will provide business continuity to producers who enroll in the program before an FAD event. Click here to read an overview of the plan. Manure is (and always has been) part of livestock production, but in recent years it has been increasingly viewed as an asset instead of a liability. 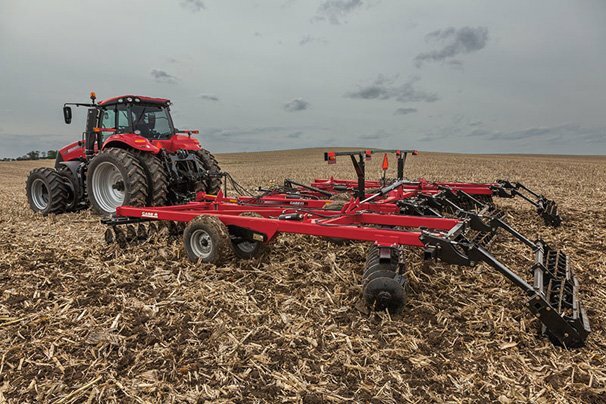 Experts emphasize, however, that to get the full benefits and minimize the drawbacks of manure application for the benefit of all parties involved, planning and preparation are extremely important. W.D. Farms handles manure management, including agitation and pumping, transportation and application, consulting and brokering, manure crises management, and trucking in a 200-mile radius around the Pickaway County operation. The goal for every job is to make sure everyone wins and Dresbach offered some tips on how to make that happen. For thousands of years livestock roamed the plains and forests and contributed to an ecosystem that produced some of the richest soils in the world. More livestock producers are taking note of this system with a long history of proven success and working to implement it on their farms. Jeff and Michelle Ramseyer raise around 250 cattle in an organic rotational grazing system with neighboring grain farmer, Dean McIlvaine. 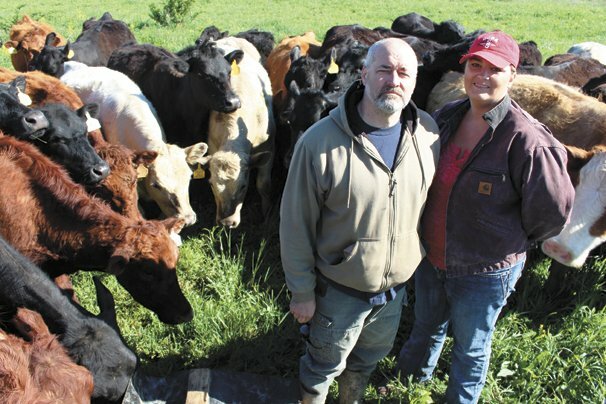 The Ramseyers provide the livestock and the labor while enhancing the fertility and controlling weeds on McIvaine’s farm ground for their Lone Pine Pastures operation in Wayne County, Michelle said. “Dean actually owns the properties we have cattle on. We are a grass-fed operation. We started back in 2014 when we got the cattle. Dean is an organic crop farmer and all of the cattle are raised on organic grass. We do not feed anything other than hay and grass. Dean needed more fertility because his crops weren’t growing well. The National Pork Board’s new porcine reproductive and respiratory syndrome (PRRS) virus research booklet is now available. The guide, PRRS Initiative Research, is the most comprehensive source of Checkoff-funded research available on the subject, spanning 20 years of results. The PRRS Initiative Research (1997-2016) is available online. Following a meeting between President Trump and Vietnamese Prime Minister Nguyễn Xuân Phúc, the two countries last week announced plans to enhance political, diplomatic, economic and trade relations. Among the topics addressed directly with Vietnam’s prime minister were two key trade access issues for U.S. pork: the use of veterinary drugs and offal exports. Regarding veterinary drugs, Vietnam will not be issuing a circular, previously announced, implementing a zero-tolerance policy on residues for multiple veterinary drug, many of which are used in U.S. pork production. It agreed to follow U.S. food safety standards and maximum residue limits (MRLs) set by the U.N.’s Codex Alimentarius Commission. Vietnam will continue to allow U.S. imports of beef and pork that meet Codex MRLs. The policy aligns with U.S. food safety concerns. In addition, Vietnam said it is committed to working with the United States to address issues currently preventing the importation of white offal. The Ohio Cattlemen’s Association (OCA) is announcing an event of potential interest for both the buyers and sellers of beef breeding cattle. On Friday evening, Nov. 24, the OCA will be hosting their fifth annual Replacement Female Sale. The sale will be held at the Muskingum Livestock facility in Zanesville and will begin at 6:00 p.m. The 2017 Ohio Cattlemen’s Association Replacement Female Sale will provide an opportunity for both buyers and sellers to meet the need for quality replacements in the state. Consignments may include cow-calf pairs, bred cows and bred heifers. Females must be under the age of five as of January 1, 2018 and may be of registered or commercial background. Bred females must be bred to a bull with known EPD’s and calves at side of cows must be sired by a bull with known EPD’s. Pregnancy status must be verified by an accredited veterinarian through traditional palpation, ultrasound or by blood testing through a professional laboratory. In response to a request from beef industry stakeholders, the U.S. Department of Agriculture’s (USDA) Agricultural Marketing Service (AMS) is revising the live animal specification used for all Angus certified programs (Schedule GLA) to provide more objective phenotypic criteria for identifying eligible cattle. The specification is also being revised to reflect ownership by the American Angus Association, not AMS. Currently, for phenotypic requirements, cattle must be predominantly (51%) black, along with other exclusionary criteria. The proposed changes will require that cattle — evaluated phenotypically — have a main body that is solid black with no color behind the shoulder, above the flanks, or breaking the midline behind the shoulder (excluding the tail). In this pdf, additions are in yellow highlight and deletions are represented as strikethrough text (minor formatting updates are not identified). No changes are proposed for cattle qualifying by genotype. The existing Schedule GLA has served the industry well, but as cattle genetics change over time, opportunities for updates should be considered that better reflect the current populations and marketplace. The letter to President Trump, President Justin Trudeau of Canada, and President Enrique Pena Nieto of Mexico was signed by NCBA President Craig Uden, Dan Darling, president of the Canadian Cattlemen’s Association, and Oswaldo Chazaro Montalvo, president of the Confederación Nacional de Organizaciones Ganaderas. “MCOOL failed to deliver its proponents’ promise to increase consumer demand or consumer confidence,” the groups said. 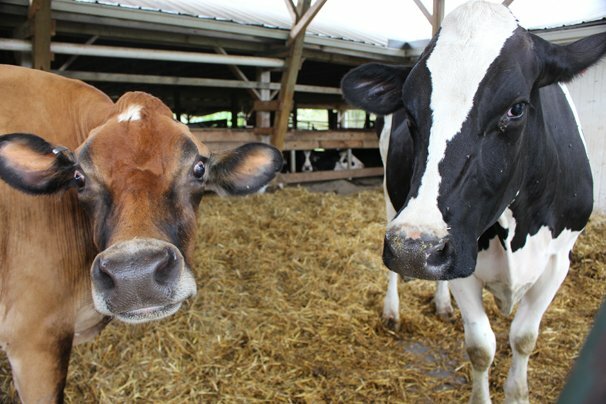 Dairy Farmers of America’s Dairy Marketing Service sent a letter to dairies in the Mideast this week announcing they will put a halt to marketing milk from independent producers. Their focus will instead turn solely to cooperative members. The move comes as a result of a saturated milk market and burdensome costs assessed only to co-op members, resulting in the cut of independent farms, according to DFA. Organic producers are exempt from the action. Tensions are high within the dairy industry due to pressure on farms from multiple levels. The White House announced last week that an agreement has been reached that will restore U.S. beef access to China. The Trump administration said that following one more round of technical consultations between the United States and China, China is to allow imports of U.S. beef on conditions consistent with international food safety and animal health standards and consistent with the 1999 Agricultural Cooperation Agreement, beginning as soon as possible but no later than July 16, 2017. “After being locked out of the world’s largest market for 13 years, we strongly welcome the announcement that an agreement has been made to restore U.S. beef exports to China. It’s impossible to overstate how beneficial this will be for America’s cattle producers, and the Trump Administration deserves a lot of credit for getting this achieved,” said Craig Uden, National Cattlemen’s Beef Association president. “We look forward to providing nearly 1.4 billion new customers in China with the same safe and delicious U.S. The 2016-2017 Ohio Cattlemen’s Association (OCA) BEST (Beef Exhibitor Show Total) Program wrapped up on May 6 with its annual awards banquet held at the Ohio Expo Center in Columbus. Several representatives from program sponsors, Bob Evans Farms, Burroughs Frazier Farms, Evans Cattle Company, Farm Credit Mid-America, M.H. Eby, Ohio Farm Bureau Federation and Weaver Livestock, were on hand to help present awards totaling more than $50,000 in belt buckles, luggage, show materials and other awards. This year’s BEST program featured 15 sanctioned shows that weaved across the state with over 440 youth participants showing 649 head of market animals and heifers. State breed associations sponsoring belt buckle cases for the winners in each of the respective breeds: Buckeye Hereford Association, Ohio Angus Association, Ohio Mid-Eastern Maine-Anjou Association, Ohio Shorthorn Breeders Association and Ohio Simmental Association. For most beef cattle farmers who are managing their pastures in a rotational grazing system two of the biggest spring challenges are the flush of rapid growth that will occur and selective grazing. While there are no easy management answers, if we review some basic plant growth biology and grazing principles, they may suggest some management strategies. Warning: this article may disrupt some conventional thinking. We know that as spring progresses, grass growth will speed up. Our cool season pasture grasses produce about 60% of their total dry matter production by early July. If your farm has a stocking rate that is matched to summer pasture production there is no way your cattle will be able to consume enough pasture forage to keep up with the flush of grass growth that will occur in late April through May. Coupled with this explosion in grass growth is a physiological response to the shorter nights and longer days that triggers seed head production generally starting at some point in early May. In early June, 4-H and FFA members from around the state will be learning from some of the top livestock experts in the state at The Ohio State University Livestock Judging Camp. The three-day camp is designed to help young livestock exhibitors enhance their skills in judging and oral communication. The cost for the camp from June 5 to June 7 is $250 and includes all meals, lodging and an OSU souvenir. Forms to apply can be found on the OSU Livestock Judging Team Facebook page. The deadline to apply is May 15. For more information contact Hank LeVan at LeVan.27@osu.edu.